New York Mets ace Tom Seaver wore this blue Mets cap circa 1969. 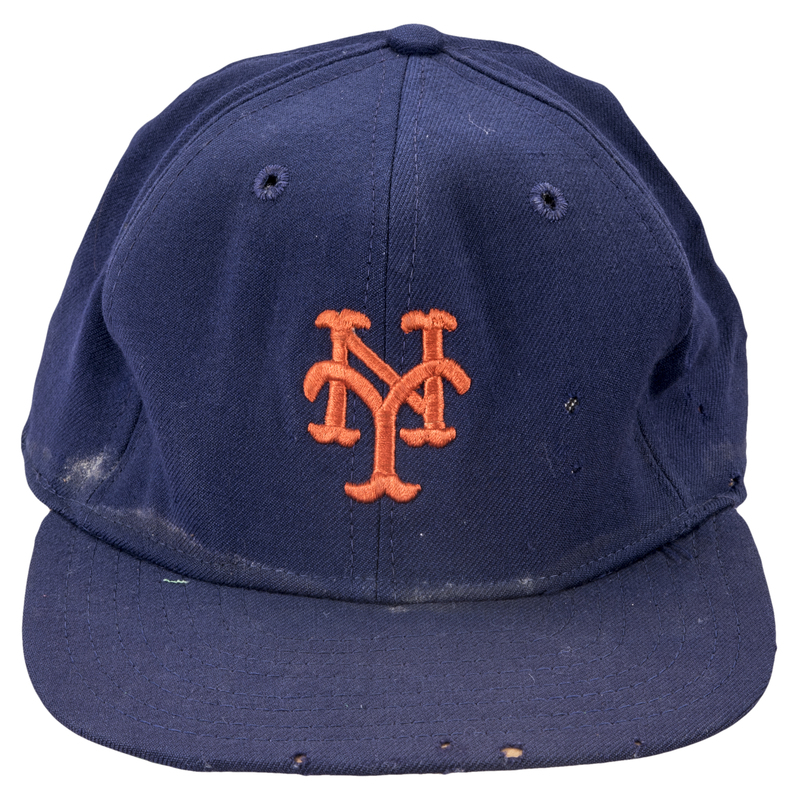 Seaver, who made his debut in 1967, won an MLB-best 25 contests in 1969 as the Mets stormed to their first ever winning season, and eventually their first World Series title after a five-game set with the Baltimore Orioles in the Fall Classic. Seaver, thanks to his 25 wins, 2.21 ERA, and 208 strikeouts, easily won the National League Cy Young award and finished second in the NL MVP voting behind Willie McCovey. Seaver retired after the 1986 season, and in 1992 was inducted into the National Baseball Hall of Fame with a then-record percentage of the vote. 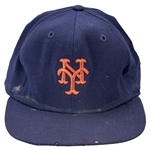 This blue Mets cap has the Mets interlocking “NY” logo sewn on the front of the cap in orange. The size is un-marked, however a New Era tag is sewn on the back sweatband. 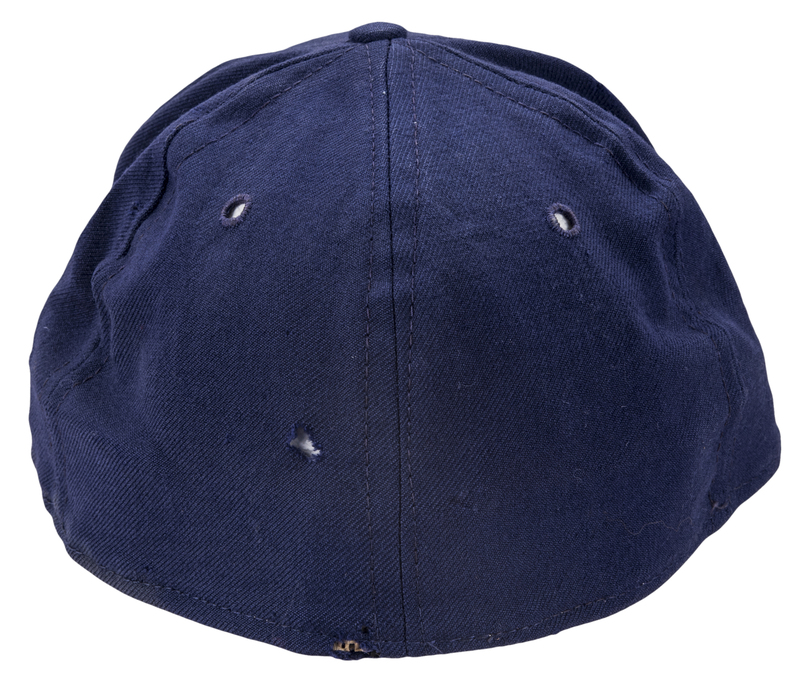 Perspiration stains are present under the bill of this cap, which shows excellent signs of game use. The brim of the cap is intact, however the inner lining appears to be cracked. 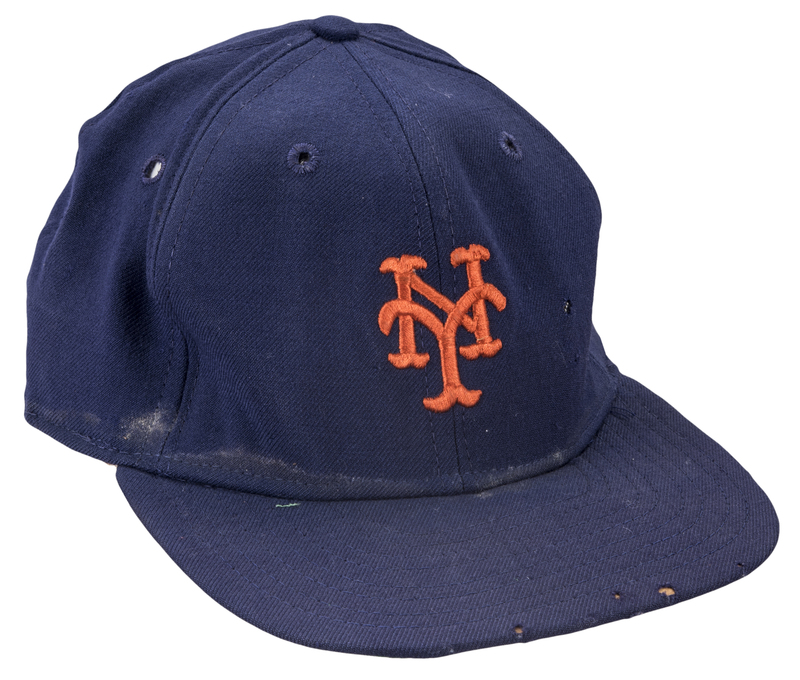 Seaver’s number “41” is written on the underside of the brim in black marker. 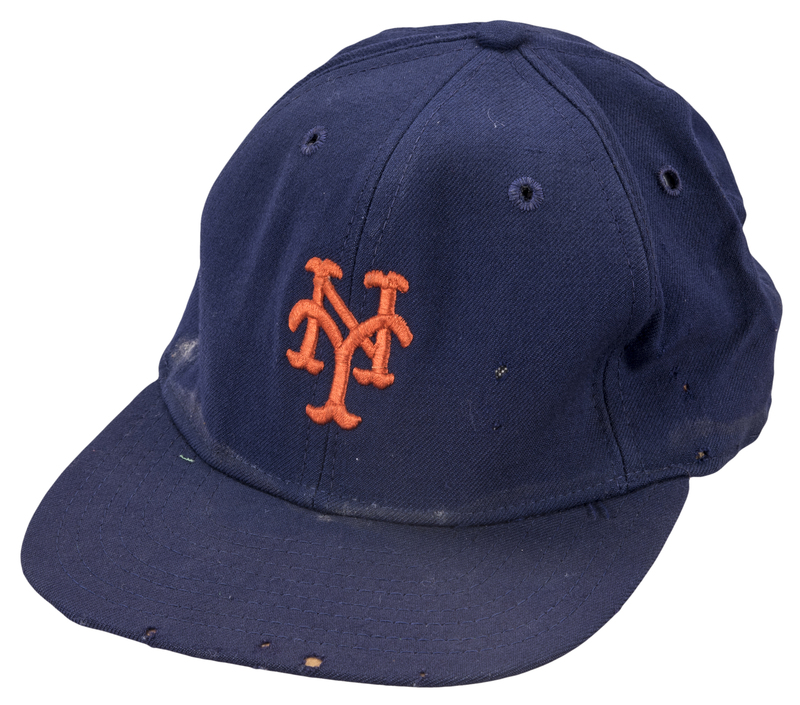 Seaver has signed the underside of the brim in blue marker. 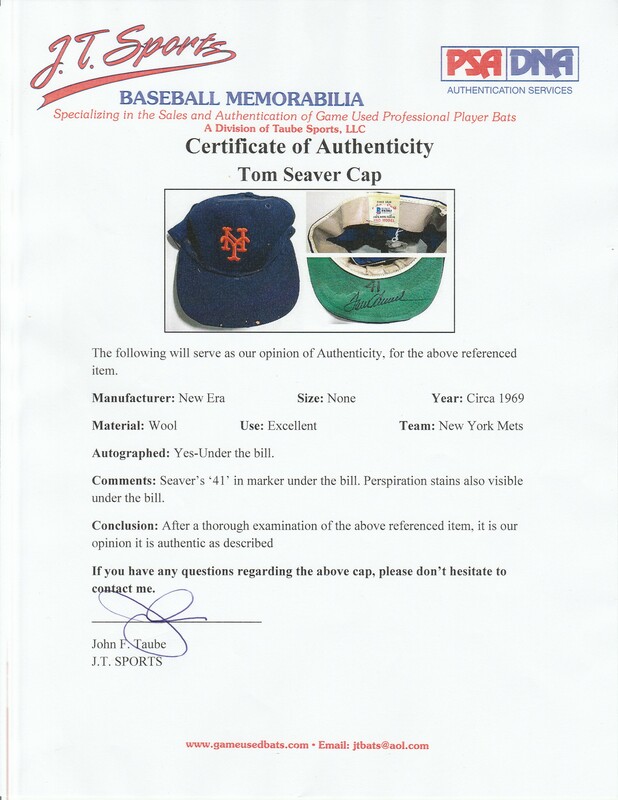 This cap comes with a COA from Beckett Authentication Services (F63861) for Seaver’s signature and a LOA from JT Sports for the game use of the cap.